Immigrants are regular targets for Republican candidates as they battle for the chance to represent their party in the race for the White House next year. 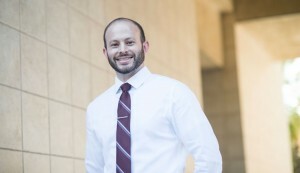 But California State University, Northridge political science professor Jason Morin, whose research focuses on Latino voters, warns that Republicans should not forget the lessons from California’s 1994 elections, when the party led a successful effort to pass Proposition 187. The proposition would have prevented undocumented immigrants in the country illegally from receiving public services, including education. The measure was invalidated by federal courts and helped drive Latinos from the Republican Party. California is now considered a solid “blue” state whose voters support Democratic candidates in national elections. “For Latino voters, immigration is an important gateway issue, meaning that presidential candidates will have to support comprehensive immigration reform and a pathway to citizenship if they wish to have any realistic shot at courting Latino voters,” Morin said. “It is becoming apparent, though, that some Republicans are taking a hardline stance against comprehensive immigration reform and relying on nativist rhetoric to court conservative voters — which, by the way, is strikingly similar to the rhetoric used by Governor Pete Wilson in the 1990s. Still, Morin said, both political parties have an opportunity to court Latino voters. “It is still early in the primary season, and recent polls show that some Latino voters are still undecided in the presidential race. But Republican candidates need to change their stance on immigration first if they wish to improve their polling numbers,” he said. Immigration is not the only issue important to Latino voters. “Both political parties have an opportunity to talk about other policy issues,” Morin noted, “but the parties have preconceived notions about what Latino voters want. One misconception is that immigration is the only issue that Latinos consider to be important. Another misconception is that Latinos can be courted on the basis of their religious heritage, he said. The road to the White House for this presidential election will not be easy for Republicans, Morin noted. “If the Republicans are serious about taking the White House next year, they need to capture more than 40 percent of the Latino vote, which is more than what President Bush was able to do in 2004,” he said. Though Democrats hold an edge over Republicans, Morin pointed out that both parties should avoid taking Latinos for granted. The Latino vote will matter in the 2016 presidential election. Latinos are now the largest minority population in the U.S. and their numbers continue to grow. Some groups, Morin noted, are estimating that the number of eligible Latino voters has increased to 28 million, up from the previous general election. He pointed out that each year, approximately 800,000 Latinos turn 18 nationwide. A majority of Latinos turning 18 were born in the U.S., which means they are citizens and eligible to vote. Morin warned that both major political parties must understand the potential ramifications of an anti-immigrant campaign.